We created a 2018 used CNC pricing chart to identify low, high, average and brands based on the CNC type. We saw how many manufacturers and machinist search for pricing and decided to collect data based on our past year inventory and sales. It’s a start in the right direction for manufacturers since it gives them a glimpse of how much money they need to fund their 2019 projects. How Much Is a CNC Machine? When you hear about CNC turning, CNC turning centers or CNC lathes, you can know that this equipment does machining with a workpiece held in a chuck on a spindle that rotates. Usually, the raw material is a round bar stock, but it could be other shapes. Every CNC machine that turns parts will have a maximum outer diameter chuck dimension. This is the biggest size bar that can be held by the machine. Of course, your part has to have a maximum finished outer diameter lower than that. If you plan to make thousands of your parts at a time, you’ll be interested in bar feeders and the maximum collected size the machine can handle. This is the largest size that can have material bar-fed into the machine so that it can continuously make parts rather than having someone feed the machine one workpiece at a time. Lathes are available with various numbers of axes from simple 2-axis to so many planes of motion for both the workpiece and tools that almost any desired shape is possible in one setup. The more complex or difficult a part that a lathe can make, the more it usually costs. If the part is going to be made from a block of material that fits best within a square or rectangular shape, then it will likely be a fit for a CNC milling machine. 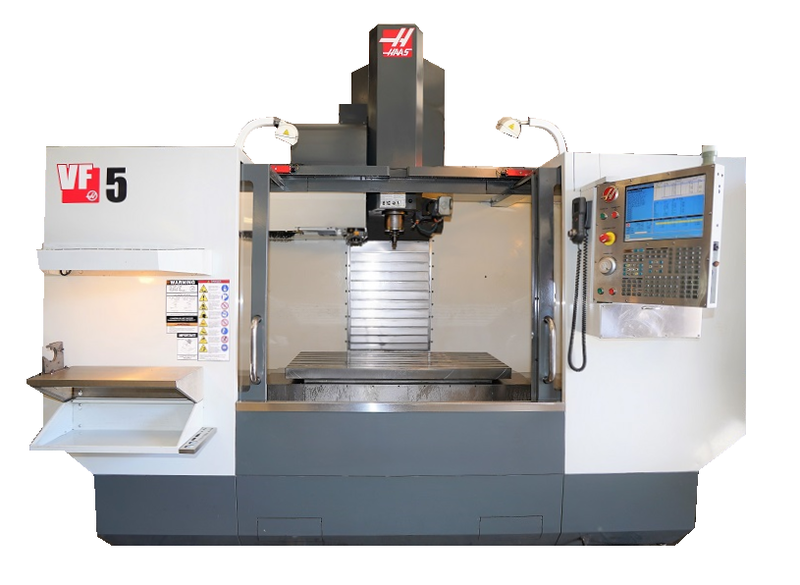 CNC mill machines that mill material come in two basic configurations, vertical and horizontal. Vertical milling machines have milling tools that are in an up and down configuration. The milling tool comes down and meets the material that sits on a table. For less expensive milling machines, the table is stationary and for more complex parts, that table can move. Horizontal machining centers have milling tools that are oriented horizontally, with the workpiece affected to a vertical surface. The pricing goes up with the complexity of movements possible. Vertical machines centers (VMCs) are more common than horizontal machining centers (HMCs) in part because of their lower cost and ease of use. With a VMC, you can see more of what you’re doing than with a horizontal milling machine. They tend to be less complicated to program and offer more flexibility, so they are better if you have unorthodox pieces or one-off needs. Vertical machining centers also require less floor-space than a horizontal machining center. Vertical milling machining machines have a wide range of sizing for parts made but they are usually used for smaller parts. 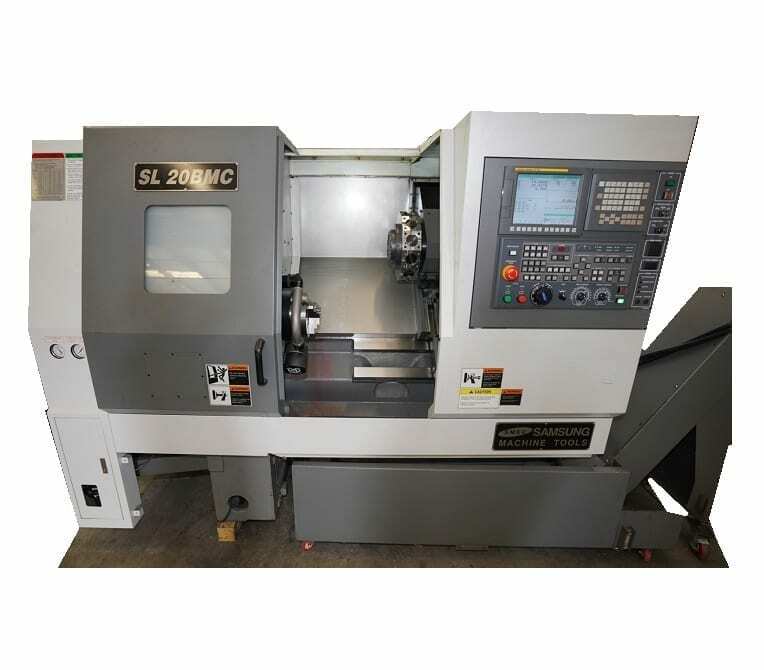 Because of the ever-increasing complexity and features being added to both vertical and horizontal, both kinds may be referred to as “machining centers.” Most CNC milling machines have the ability to move the spindle along the Z-axis with allows for freedom to engrave and make much more complex parts. When a fifth axis is added, making the machine a “5-Axis” machine, the B axis controls the tilt of the tool to make extremely complicated geometries. Most selections for CNC milling machines begin with the size parts you plan to machine. Even though from the list above, a VMC may seem to be the answer, it’s not that simple. One horizontal milling machine can be as productive as three vertical milling machines. The spindle utilization on an HMC can be as high as 85% compared to a typical 25% for a VMC. The horizontal machining center uses better chip evacuation methods when compared to vertical mills, which means less re-cutting and longer tool life. The surface finish from a horizontal mill machine is often better too. These machines are very sturdy and built to withstand vibrations, so the work environment is quieter, and the machine tends to last longer. Many owners believe that the additional initial investment in an HMC well-worth it since parts are less costly coming off the machine. Depending on the project, it might make sense to buy an inexpensive used HMC and use it exclusively for production. There is software available to help you program and run it to its full capacity.